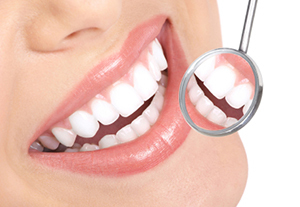 Traditional and cosmetic dentistry have two different focuses, procedures, and objectives. Both are very important and can accomplish a beautiful smile as well as healthy oral hygiene. Traditional dentistry focuses more on dental hygiene, and cosmetic dentistry focuses on the aesthetic appearance of one’s teeth and smile. Cosmetic dentistry is a choice to improve one’s mouth or smile. Today, dental fillings may fall into the category of cosmetic dentistry, because you can select fillings made of porcelain or composite materials that closely match the color of your teeth, thus maintaining the natural appearance of your teeth and smile. Many people may choose to have their older fillings replaced with newer, tooth-colored fillings to enhance their oral appearance. Crowns — Synthetic caps, usually made of a material like porcelain that can be placed on the top of a tooth to restore its function and appearance attach bridges, cover implants, or prevent a cracked tooth from becoming worse. Who wouldn’t want a perfect smile? Cosmetic dentistry offers many options for people who are unhappy with their smile. If you are one of these people, we encourage you to discuss all of your options with us. We can answer any questions you have about the techniques used to improve your smile.